There's always a sense or trepidation when going to the Astoria, especially when it's sold out. A sold out Astoria means one massive game of Sardines if you want to get any sort of decent view, and regardless where you end up you will rue forgetting your steel toecapped boots as a vertiable army of metalheads give you the pedicure from hell. What I'm trying to say is that it's a bit of a squeeze, okay? 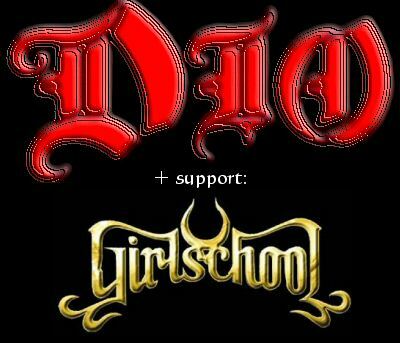 Opening for Sir Ronald Of Dio are perennial mistresses from the University of Metal, Girlschool. It's hard to believe that three of the ladies on stage started the band waaaaaay back in 1978, celebrating their 30th anniversary this year with a new studio album in August. 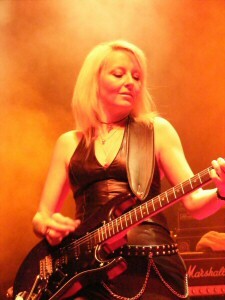 What you have always got with Girlschool, and no doubt always will, is no nonsense heavy metal, played with a twinkle of the eye and (in Jackie Chambers' case) a push up bra. The band seem to be having a great time as they plough through classics such as “Hit & Run”, “Screaming Blue Murder”, “Revolution” and my personal favourite “Race With the Devil”, a song with a hook big enough to catch a great white shark. 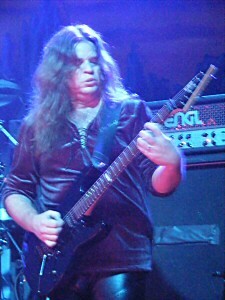 Mention is made mid set of the forthcoming new album which will feature old friends Motorhead as well as Tony Iommi, Neil Murray and a certain Ronnie James Dio. 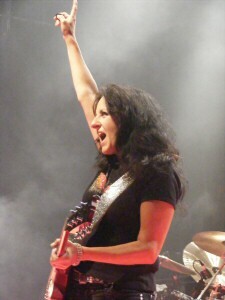 Enid Williams takes vocals for the bass laden monster that is “I Spy”, although on the album Dio will take on singing duties. It's a good, heavy song and bodes well for the band. It's always nice to see a support band given a decent sound and use of lighting, and Girlschool take full advantage, getting the crowd going nicely. 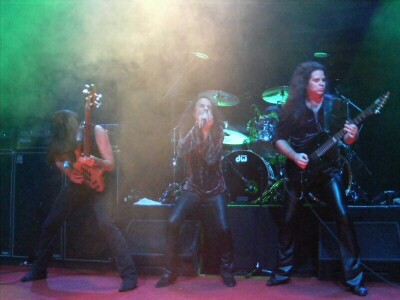 It's hard to dislike a band so full of talent and energy, and the Dio worshippers at the Astoria tonight seem happy to just go with the flow. You go girls! 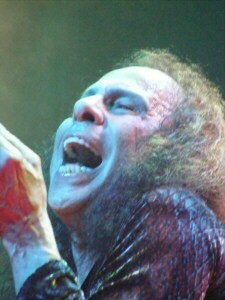 There's something about Ronnie James Dio that is irresistible to metal fans. Maybe it's his charisma, his staying power or his involvement with two of the greatest bands of our time (no, not Elf), but whatever it is it's magnetic. Draped behind the stage, the cover of his seminal work “Holy Diver” demonstrates how a Metal Hand should look, and around the venue men who should know better are giggling excitedly and speculating over the set list like schoolboys on a sugar rush. We're not kept waiting long, and when the intro to “Holy Diver” itself is followed by Craig Goldy banging out the monstrous opening riff the place goes mental. Whether Dio has sold his soul to some demon or just eats a lot of healthy snacks is unclear, but he's closing in on sixty and shows no signs of slowing down. 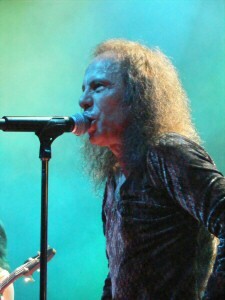 With the Sabbath songs out of the way when he sings with Heaven & Hell, tonight is Dio and Rainbow night. It's a plethora of classics like “Don't Talk To Strangers”, “Stand Up And Shout” (OI!!!! 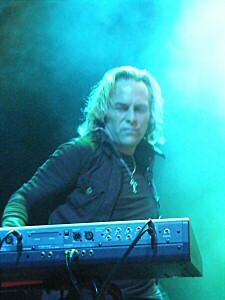 ), “Kill The King”, “Rainbow In The Dark” and “Killing the Dragon”. 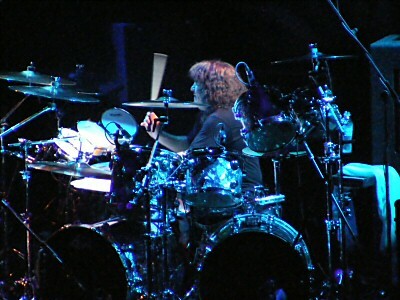 This being a Dio show we have to have a drum solo, although Simon Wright manages to pull it off without sending everyone to the bar. The lad himself is on fine form, throwing devil signs left and right, belting out songs with the gusto of a man half his age and twice his size. 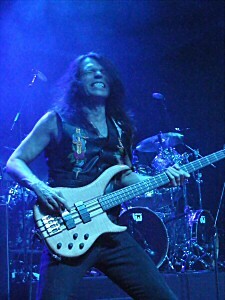 Bassist Rudy Sarzo handles shape throwing duties, posing like a WAG at a premiere, whilst Craig Goldy is audibly stunning on guitar but visually as exciting as a pile of mould with a bad back. On the other side of the stage Scott Warren works hard on the keyboards, but if truth be told can hardly be heard most of the time. Over 90 minutes or so, Dio and his band rock the hell out of The Astoria, with enough quality songs in the bank to allow them to finish us off with an encore of “Last In Line” and the sheer simple genius of “We Rock”. As long as people like RJD are about, I don't think rock & roll is in any danger at all.